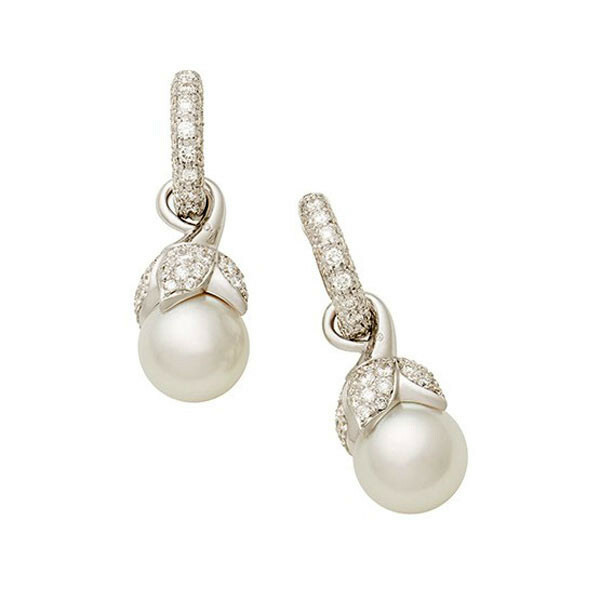 From the Water Lily collection, these Mikimoto dangle earrings are simply lovely. Small diamond-encrusted hoops drop a water lily, which is comprised of 18kt white gold and more diamonds, by its stem while the flower clutched a creamy white South Sea pearl. These dainty accents from Mikimoto are sure to elevate your look beautifully.